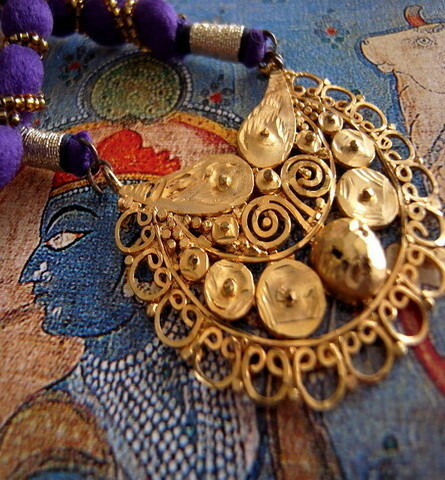 Sumptuous pendant of intricate filigree art. 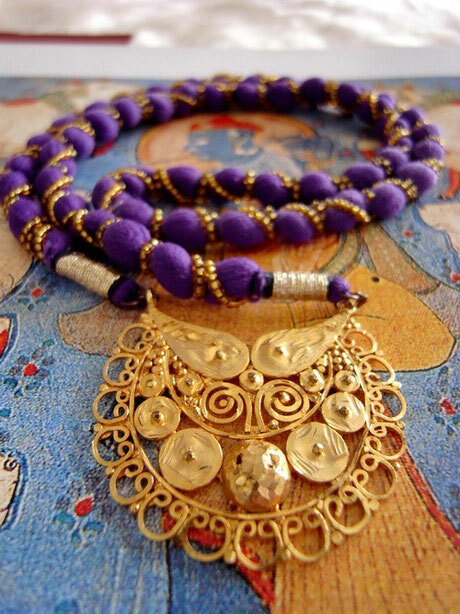 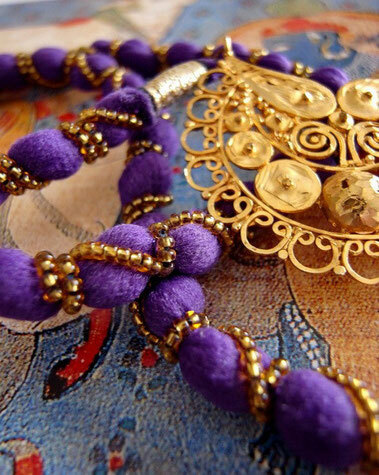 Swirls, scrolls, solid fill, faceted points & balls, elaborate cut work with delicate etching on a chain of thick, purple cotton, wrapped diagonally with small wax beads. Sterling silver dipped in 24kt Indian gold. 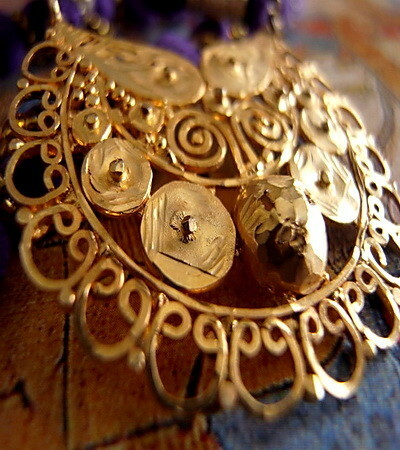 Keep necklace straight to retain its shape & adjust when worn.